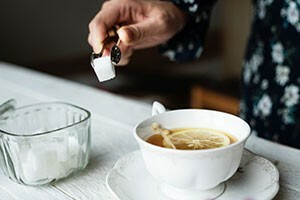 The sad truth is that people in your life will try to sabotage your low sugar diet. You’ll run into that pushy person at the office who insists that you eat a donut, the well-meaning family member who dishes you up a bowl of ice cream, and the friend who comes over with a plate of her home-baked cookies. The best avoidance strategy is to sincerely thank the sugar-pusher for their gift, tell them you wish you could eat it, and then blame your fitness mentor – as the bad guy who says that you need to cut back on sugar.